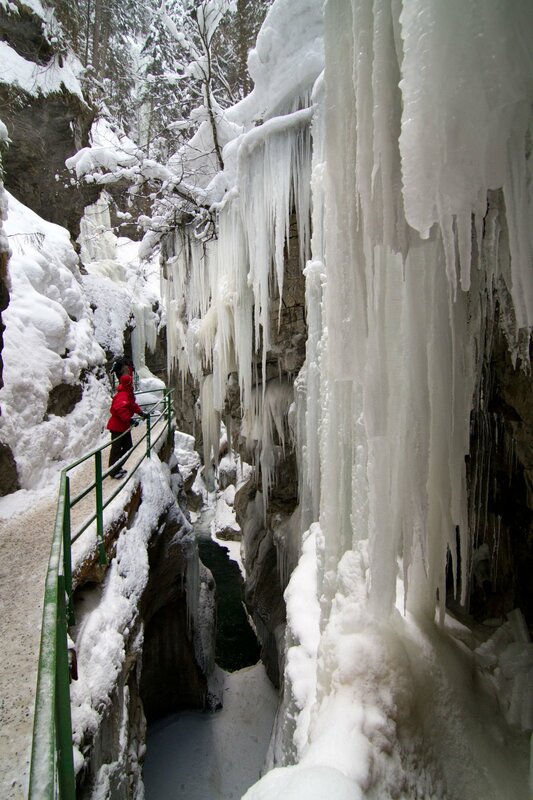 Whatever the season, whether summer or winter, the Breitachklamm ravine in Tiefenbach near Oberstdorf is open for your enjoyment all year round – with the exception of the snowmelt period and late autumn. The Breitach River “bubbles and burbles and roars and gurgles” through the narrow gorge with vertical, overhanging walls that tower to almost 100 metres in height, thundering over high shelves of rock, gushing through deep pools and spraying the finest droplets that dance in the light. 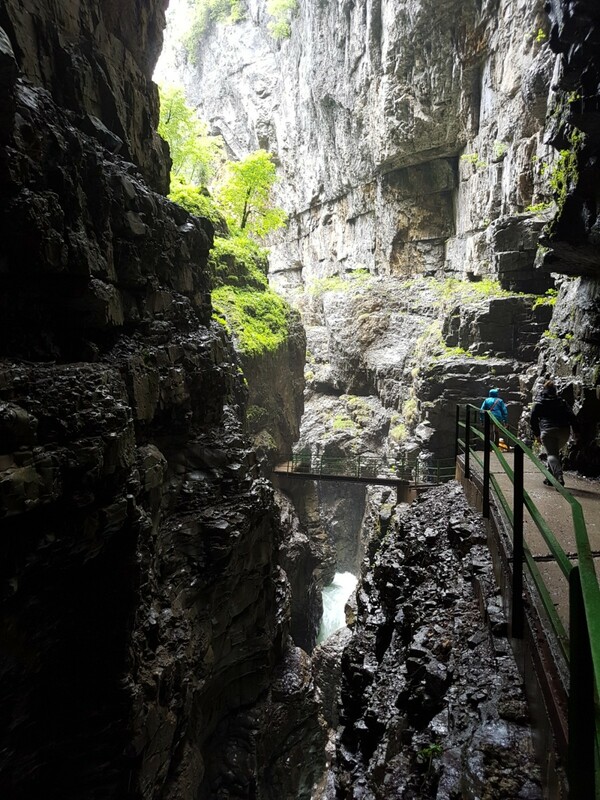 A visit to the Breitachklamm can also be combined with other subsequent hikes. One option is the popular circular trail: on leaving the Breitachklamm, after the upper ticket sale point, a hiking route leads to the “Zwingsteg”, a bridge that crosses the ravine at a dizzying height. You can then follow the circular trail past the Dornachalpe or Sesselalpe huts back to the start of the Breitachklamm. sturdy footwear is still a must. Take a bit of your holiday home with you: the virtual reality display provides a whole new way to experience Central Europe’s deepest ravine.